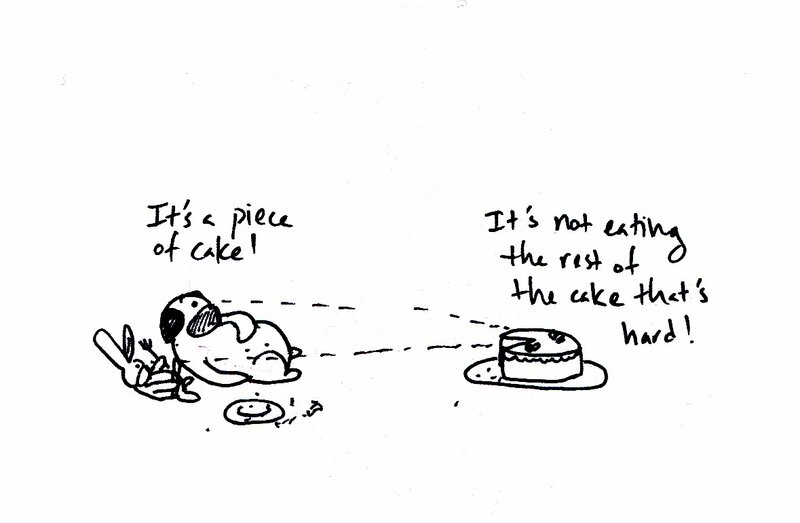 Bah Humpug: Piece of Cake! It's a piece of cake! Of course a piece of cake is easy. Just a little slice. The real challenge is the rest of the cake. Eating it or resisting it. Both are hard and yet rewarding in their own way.